For some reason books about epic cycle rides often struggle to maintain sight of the reason behind the particular journey. Caught up with geography, mileage and the inevitable misfortunes that happen along the way, we are quickly left to forget what the point of the epic ride was in the first place. Context is quickly abandoned in place of stories about encounters with mountains, deserts and (usually) wild coyotes or bears. 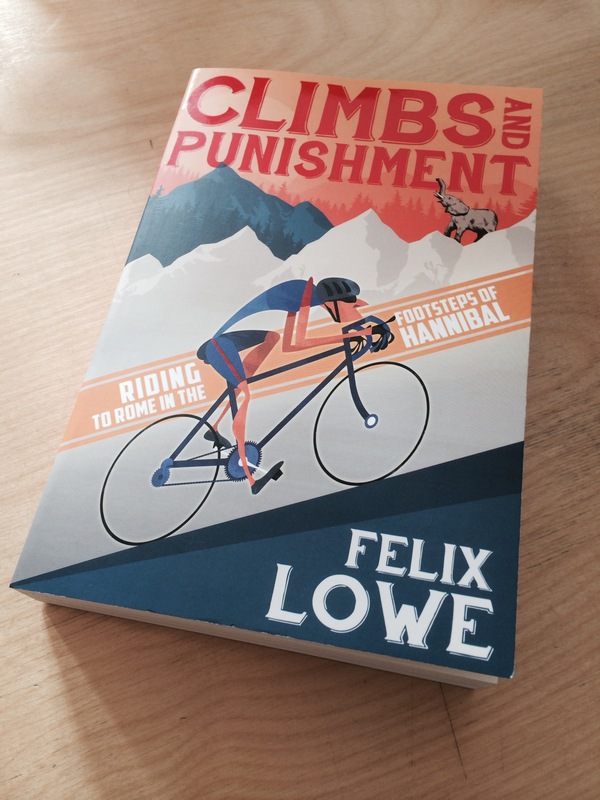 Felix Lowe, the author of the excellent ‘Climbs and Punishment’ (Bantam Press £14.99 RRP) makes no such mistake. As we accompany him, his bike and various companions from Barcelona to Rome – via the Pyrenees, Alps and Apennines – he makes sure our attention never flags and our interest beyond the daily grind is always kept sated. In following such a route it’s obvious that we will encounter plenty of mountains and Felix devotes more time describing desserts rather than deserts but it is his bear substitute that really marks this book apart from other cycle travelogues I have read. Casting aside the odd wild Ursus in favour of a pack of Pachyderms, Felix regularly provides that much-needed context in historical interjections about the famous Carthaginian General Hannibal (and his even more famous war elephants) as they undertook the very same route some more than two thousand years ago. The combination of this educational aspect of Climbs & Punishment, when skilfully mixed with the light-handed ride reportage and the extensive gastronomic dissections give the story a balance worthy of the fine Barolo wine region which he passes through once over the Italian border. All parts, including the potentially ‘dry’ historical sections, are conveyed in Felix’s signature style – that is to say they are erudite, pun-filled, often bawdy and never less than absolutely delightful to read. Lowe is better known to cycling audiences as EuroSport’s Blazin’ Saddles, the anachronistically non-cycling cycling reporter who casts an (occasionally caustic) eye over the goings-on of the pro-peloton in a weekly online blog and who takes a similarly (self-)deprecating look at his own adventures on two wheels in his monthly column for Cycling magazine. Pumping up his challenge level by several hundred PSI by taking on the 4 week, 2,800 kilometre ‘Hannibal’ ride last Autumn, at the outset he really is riding into the unknown.. Working in his favour are his enthusiasm (he regularly goes further than the set daily distance to seek out extra climbs, places of interest and colourful characters); his companions (who come and go with a pleasing regularity and who supply a regular amount of anecdotes for Felix to work his linguistic magic on); and his metabolism (which somehow allows him to shed 7kg in a month despite appearing to be eating extravagantly at every stationary opportunity). Working against him are his dodgy knees, randy dogs, some inclement weather and a haphazard approach to bicycle maintenance. 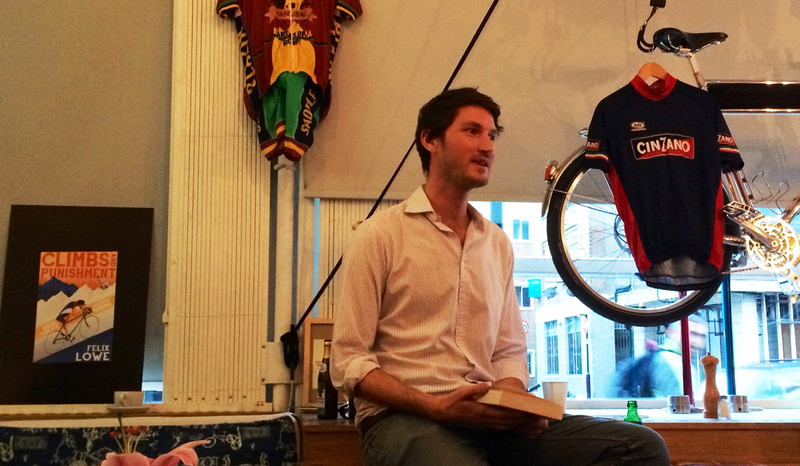 His familiarity with professional cycling also layers another set of references on top of the present-day pain and the centuries-old traces of Carthage’s protracted wars with Imperial Rome. With no less than Greg Lemond as his ‘unofficial mentor’, Felix also re-animates Vuelta’s, Tours and Giro’s from both the near and distant past as he rides in their wheelprints too. Not too afraid to question, never too jaded to celebrate, as usual Felix finds the right balance – which is fitting for a cyclist of course. Reading this book won’t tell you anything about the best gearing ratios to get you up Alpe d’Huez twice in one day, nor will it reveal much about what is the appropriate kit to be wearing as you tackle a blustery day on the Ventoux. What it will do is tell you pannier-loads about the places that we love watching cycling races in, barrels-full about the great wines and delicacies of the regions and a couple of Legions worth of nuggets about one of the most daring, bloodiest military campaigns of all time. And it will royally entertain you whilst it does so. This entry was posted in Giro dItalia, La Vuelta, Le Tour de France, Product Reviews and tagged blazin saddles, Cycling, elephants, felix lowe, food, giro d'Italia, hannibal, Tour de France, Vuelta a España. Bookmark the permalink.